Boots is running a double discount event for their staff from the 3rd to 5th october. So i think that would work out to about 45% discount off boots branded products and 25% off all the other brands. So if you know any one that works in boots, try and grab hold of their staff discount card and shop away! no you mean a 45% discount off boots branded products and 25% off all the other brands. 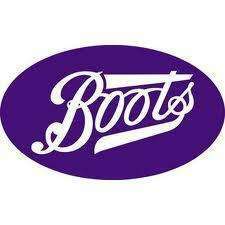 Boots are doing 45% off all boots branded healthcare products for the whole of September. My husband who works for Boots hasnt been informed of any other promotion. Where did you hear about this op? Grab hold of their staff discount card?? Are you serious?? I used to work for Boots and they are incredibly strict about staff discount!!!!! Unless you want the staff member to lose their discount card I STRONGLY recomend you don't try and do this!!! They will stop doing DDD (Double Discount Days) and you will be wrecking it for everyone!!!!!!! why dont boots pass some deals on to their customers. Why do you care...as u mentioned u used to work for boots, not like u do anymore ? Grab hold of their staff discount card?? Are you serious?? I used to work … Grab hold of their staff discount card?? Are you serious?? I used to work for Boots and they are incredibly strict about staff discount!!!! !Who is entitled-1. the employee 2. a family member living at the same addressNo exceptionsUnless you want the staff member to lose their discount card I STRONGLY recomend you don't try and do this!!! They will stop doing DDD (Double Discount Days) and you will be wrecking it for everyone!!!!!!! Why do you care...as u mentioned u used to work for boots, not like u do … Why do you care...as u mentioned u used to work for boots, not like u do anymore ? This is true Superspeedy!! Well - what can I say? I guess I'm just a lovely person who still has some loyalites to the company who helped me to earn while at university, graduate and move onto bigger and better things. Secondly- for my friends and colleagues still there and customers in general- disciplinary procedures, sackings, and fraudsters being banned from stores is not going to help anyone during these stringent times!! Or am I wrong?? Thirdly- Boots - despite being successful is having to operate efficiently and like everyone are trying to make savings where they can- and if they get the slightest whiff that this 'perk' is being abused it will be withdrawn. Overall Sales will be lost, prices will increase to the consumer as a result. Would that make anyone happy?? In short- I am sure you will agree this deal is inacessible to most of the population at large, therefore is not really a deal and in my opinion should not have been posted to wet people's appetites and then to have the cup dashed from peoples lips due to it being EXPLICIT FRAUD!!!!!!. Can just say I agree with you but not about the "you have to sign for each discount"...thats just bull...maybe they did it where your from and whats supposed to be happening but...never have i experienced that in any of the boots stores i've ever been to around London (I mean not even one). I have a family member who still works there which is why im eligible and how I know. 'Comforted work experience'- HA!!! that does make me laugh!!!! Where did you get that from my post? ???? Try again- and you will see what I actually said was 'earn while at university and MOVE ON to bigger and better things' . (as fast as my little legs would carry me). . . Slave driving comes as part of the course as a Boots employee!! Sorry...Its in the small print. No dossers. Yes! They have the audacity to make you work hard!! But we can compare scars at a later date. I am a team manager for Boots and if I even heard of anyone abusing their discount then they would most definately be reported to the higher management. Boots have some amazing offers all year round and this double discount is a thank you for all the hard work that staff put into making the company what it is. Everyone likes a bargain but not at the expense of someone else, or maybe some people dont care as long as they save themselves a few quid. And you do have to sign for double discount so you will get found out if you are using someone elses card. Alteratively, if you have a friend or family member who works for Boots then ask if you can have a friends and family voucher that all staff members are being issued with. This gives you 10% off in store. Deal works fine, I'm using another persons 2nd user card, not once has a member of staff checked the signature on receipt or asked me any information regarding the primary user or member of staff. I haven't used it along side my own advantage card though. Good deal if you know a member of staff or friend of family brave enough to let you borrow their card. Deal posting newbie! This is theunforgiven first deal post. Help out by leaving a posting tip or just to show your appreciation for their contribution.